You can see the Elton John Show in Las Vegas, as he is performing at the Colosseum at Caesars Palace. It is quite a show as it features many of the hits for which he is so famous. He has had a long and illustrious career, and this 90 minute performance brings you the very best highlights. One thing that is missing are all the over-the-top costumes as they have been replaced with video effects and stage props. These give the audience an incredible visual feast, especially as the set has an enormous TV screen showing photos and videos of his 40-year career. He is a favorite performer on both sides of the pond and has many fans worldwide. John's music has influenced many younger performers and provided pleasure to millions. The peak of his career was possibly between 1972 and 1976 when he had no less than sixteen top 20 hits. He has also founded his own record label. Elton John Shows are perhaps best known for their incredible showmanship and amazing sets, and have always proven popular with fans. He was originally born Reginald Kenneth Dwight in Middlesex, England, and has been playing the piano since the age of four. 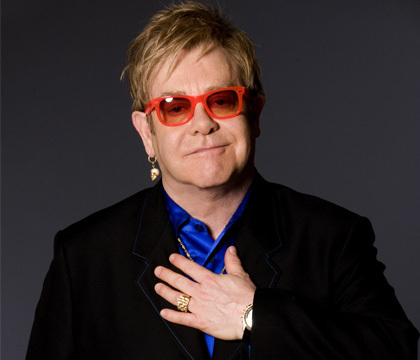 Elton began his career by playing the piano in bars and running errands for a publishing company. Perhaps his best-known song is "Candle in the Wind" which although originally written for Marilyn Munroe, was rewritten for Princess Diana's funeral. As well as being a solo performer, he has also recorded many songs with other famous people, including Gladys Knight, Stevie Wonder and Dionne Warwick. He is also an active fundraiser for AIDS charities and numerous other charities. His achievements have not gone unnoticed, as he was knighted in recognition of his work for charity. Elton John in Las Vegas is an incredible show and not to be missed. If you love his songs then you will love this performance.